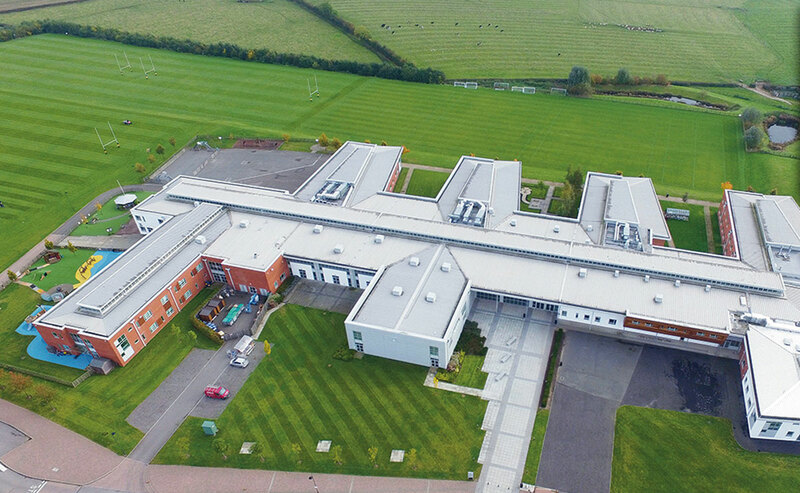 Chris King and Alison Shakespeare oversaw the building of a completely new school which opened in 2008. The relationship is axiomatic but what happens when, in the same school at the same time, the Head is Chair of HMC and the Bursar is Chair of ISBA? 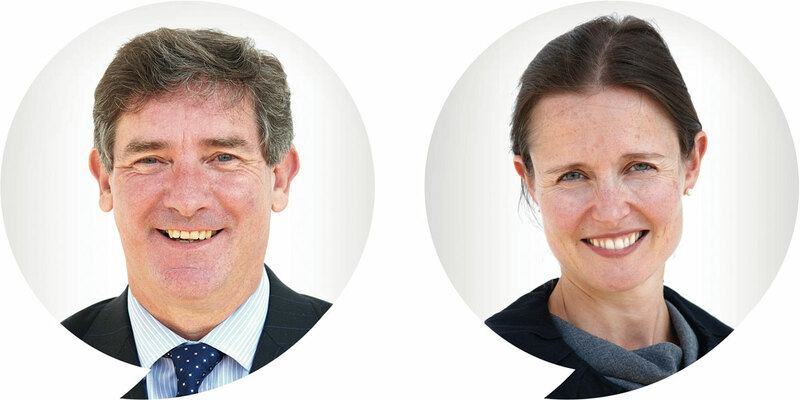 Chris King and Alison Shakespeare (Leicester Grammar School) report on a unique year of dual office-holding. CK: The plan was for me to return to the Leicester Grammar School (LGS) fold in summer 2017 after a three-year stint during which I shared my time with HMC as, in turn, Chair-Elect, Chair and the Vice-Chair. Alison Shakespeare, as Business Director of LGS, would take up the role as Chair of the Independent Schools’ Bursars Association (ISBA) from May 2017 so ensuring the school would have a clear and more or less continuous senior management presence. Events overtook this plan, and I found myself, as a result, in late summer 2017, returning as Chair of HMC for a further year. I think it would be true to say there was quite a long pause before my Chair commented on what was being proposed. She said something along the lines of “are you sure?” Sure? Well, yes, because I felt my split role would be a lot easier second time around, the experience already gained providing a secure sense of the rhythm, highs and lows of the HMC year. AS: When I agreed to become Chair of ISBA for 2017/18 it was anticipated that Chris would be completing his term of office at HMC and coming off the HMC board in summer 2017. Plans changed! For several years we had both held roles of responsibility outside school – I was on the ISBA board for six years in total and have also been a board member of the Independent Schools Inspectorate. This meant that we both had the benefit of being well informed about wider issues and trends within the world of independent schools but would need to develop ways of working to enable effective communication without an expectation of daily, face-to-face contact. CK: Chairing meetings has never been a great hardship for me, though attempting to work a way through a very long HMC Committee agenda while allowing time for discussion and Divisional input with 30-plus individuals around the table, is not a task for the faint-hearted. Broadly, the HMC diary for the year is set well ahead. Thus, the scheduled programme can be anticipated and planned for quite quickly including, in our case, comparing dates with Alison to see where the pinch points might be. AS: Adjacent offices helped, as did a willingness on both sides to deal promptly with emails outside school hours. We also both accepted that in order to do the “day job” properly and fulfil wider school association responsibilities, we were each making the decision to work longer hours simply in order to get everything done. As diaries became more full, effective communication with one another and with other school staff became particularly key. CK: The academic year means there are, in reality, very few weeks when it can make sense to hold large set-piece meetings, but what is true for HMC is also true for the other independent school associations and so there were times where I walked back into the school as Alison was walking out. AS: Our respective job descriptions reflect an expectation of team work rather than a separation of “academic” and “support” spheres. Chris was appointed as Headmaster and CEO, and I was appointed as Business Director. 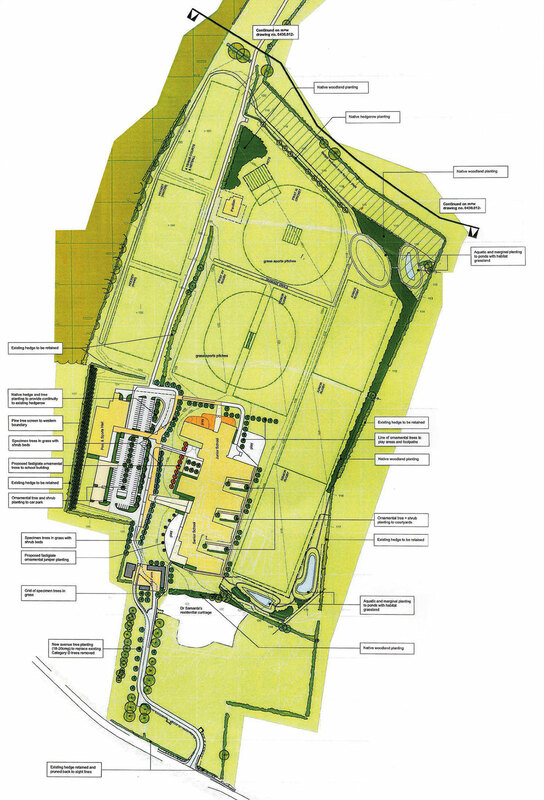 When I joined LGS in 2006 (Chris was already in post) the Trust was embarking on planning for an ambitious relocation to a new green-field site, a project which involved changes across every part of the organisation. CK: Having the Chair of ISBA in an office with just a PA between us might seem a great advantage. In fact, each school association has its own private business and particular priorities. 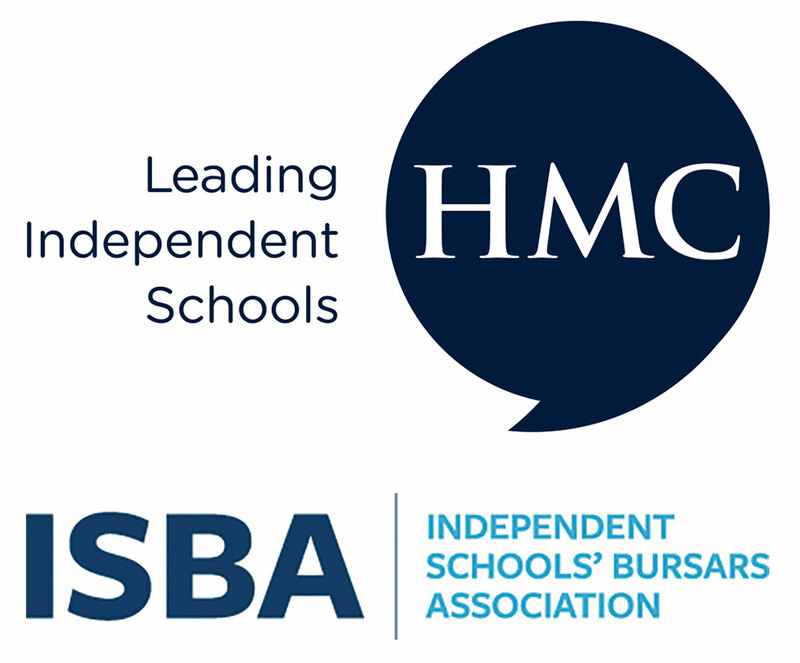 Where we did at times have productive discussion was in matters relevant to the wider concerns of the Independent Schools Council, including responses to political developments, and this has, we believe, facilitated a much closer working relationship between HMC and ISBA as associations. Chris and Alison’s major capital project in which every detail had to be right. AS: For me, the wider roles of Head and Bursar (or whatever job titles they are known by) are in the process of being reshaped resulting, typically, in the two post-holders working together ever more closely. Schools are large and complex organisations: major employers, with sizeable budgets. The Head and the Bursar are the two most senior staff in the organisation, with shared objectives, usually very different professional backgrounds and, one hopes, complementary skill sets. This relationship should not be one simply of line management of the Bursar by the Head. There should be debate and discussion, a sharing of views and a seeking of advice on both sides. CK: While there was never any doubting who was boss and who was being line managed, our working relationship has always been collaborative in nature. We both have bounced ideas off each other, reviewed each other’s draft documents and followed the mantra of there never being “surprises” between us. Professional trust and openness lies at the heart of things, of course, along with a fundamental belief that the nuts and bolts of the day job will be undertaken without error. It’s the unexpected that can knock you off balance and, certainly, the unexpected comes along to confront any Head and Bursar. But if you meet regularly, have open lines of communication and accept in such situations the hours that need to be worked just have to be completed, then all will be well. AS: Affordability concerns should result in discussions between the Head and Bursar about how best to control and focus expenditure, while still providing an education which parents want – and can afford – to pay. Looking ahead I see schools becoming more “business-like” and more commercial in their outlook. Offering a world-class education is not cheap, but it would be highly detrimental if access to excellence was restricted to the wealthiest within society. Schools are already doing a huge amount of work to broaden access, while maintaining and enhancing the quality of the education provided. This is the area where I see a particular role for the Head and Bursar to work together collaboratively.